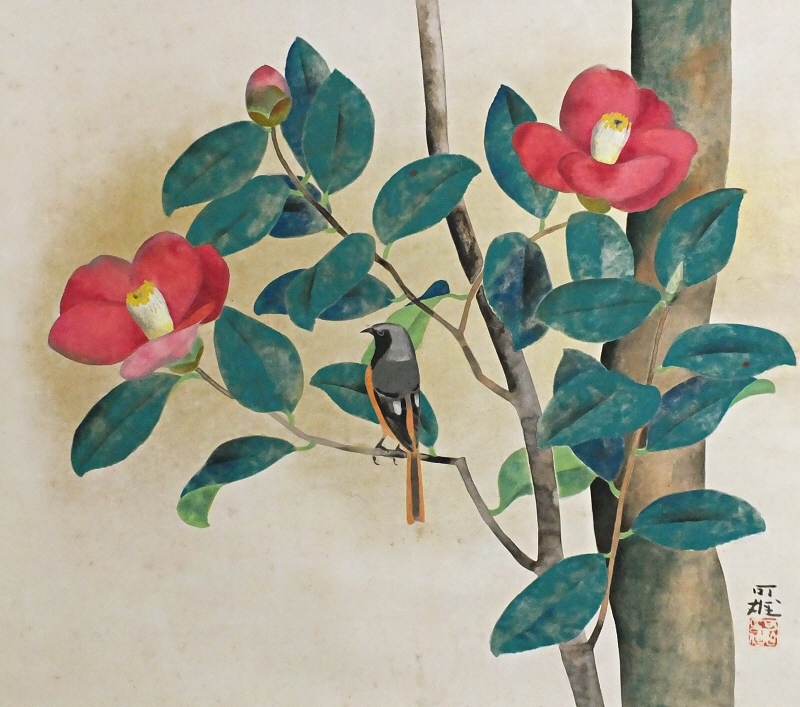 Title" Camellia & Bird "
Yoshio was born in the first year of the Taisho era (1912) in Saitama Prefecture. 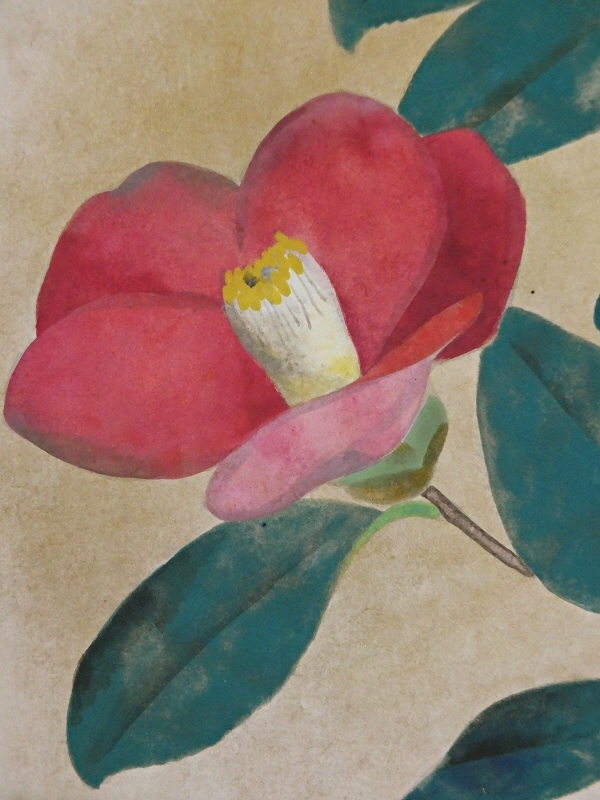 He studied Japanese-style painting under Noda Kyuho. Yoshio won the special prize once at the Nitten Exhibiton, and was accepted 20 times for the same exhibitions. 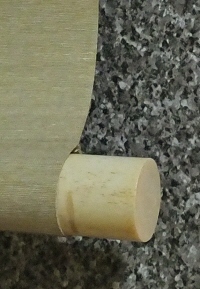 He was also accepted twice for the Inten Exhibitions. He won many other prizes. Yoshio lived in Toshima ward in Tokyo. 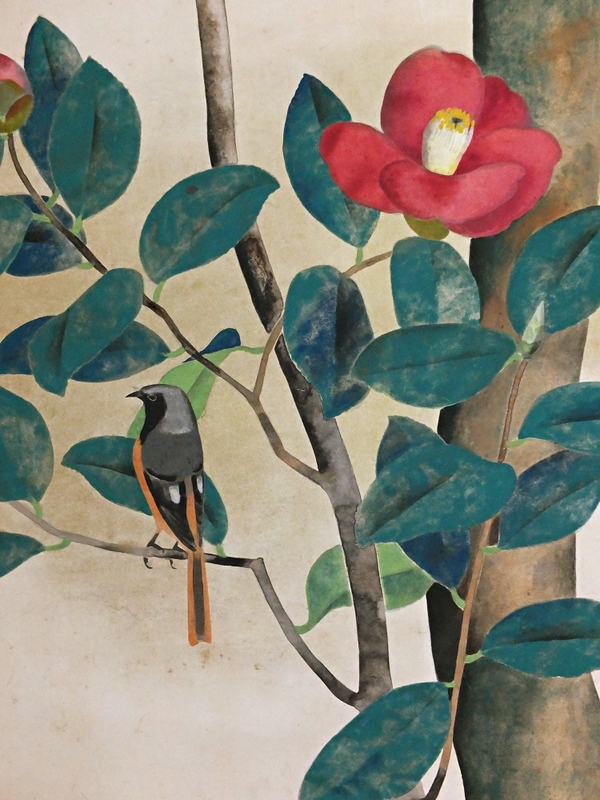 He was good at depicting flowers-and-birds paintings. He deceaced in the first year of the Heisei era (1989) at the age of 78. We estimate this scroll was painted over 30 years ago. There are some spots of flour gold on the drawing part as the painting is embellished with flour gold. Some other spots are also found. 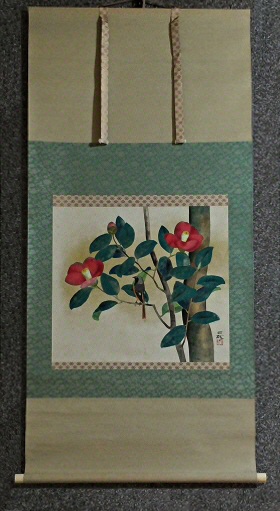 Tsubaki (Japanese camellia) flowers & leaves, a redstart bird are painted tastefully with vivid colors.